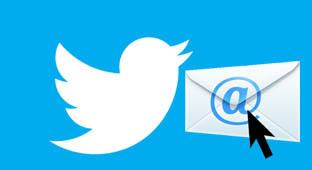 Twitter now allows users to share tweets via email, directly from Twitter’s web interface regardless of whether or not the recipient is a Twitter user. You will soon see a new “More” icon next to the reply, retweet and favourite buttons in order to email a Tweet to anyone you know. Once you click the button it will bring up an in-line email composer. The shared tweet will be emailed out directly from Twitter. Today Facebook too added the Share button to its iOS and Android applications and its mobile website that include the share button and in-line tagging for all posts, status updates and comments. 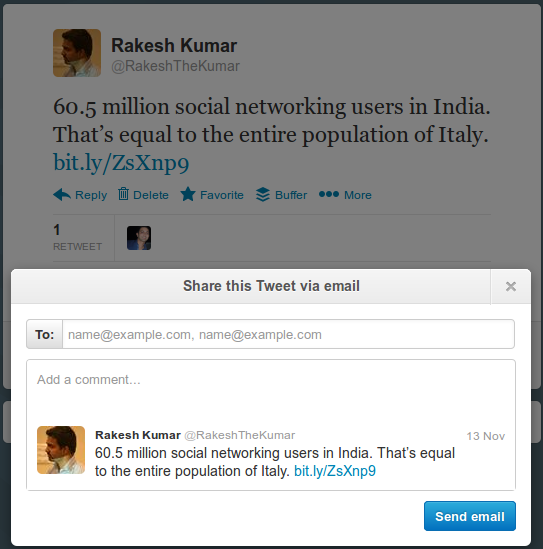 By making it easier to share tweets, twitter will be expanding its reach to people who haven’t signed up as yet.